This oh-so-soft organic cotton herbal eye pack is the perfect size, weight, and refreshing temperature to bring relief to tired, puffy eyes in minutes. 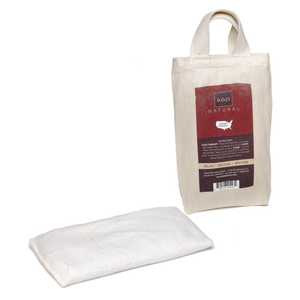 Comes in a natural cloth bag, which is printed with eco-friendly soy inks. 3” W x 8” L. Ingredients include lavender, chamomile, passion flower, peppermint, vanilla, and flax seeds. These 100% natural aromatherapy products are hand-crafted to provide you with comfort and quality.